The next billion-dollar tech startup might not come from Silicon Valley. It could be found in Toronto. Since December, three investments of more than $200 million each have been announced by companies connected to the MaRS innovation hub in the city’s downtown core. Funding rounds of that size have been rare for Canadian startups in the past. Three happening in quick succession is being taken by Toronto’s startup community as an indication that the wind is at their backs. Could it be just a matter of time before a unicorn emerges? The signs are undoubtedly positive. Venture capital flows are growing strongly in Canada and the Liberal government in Ottawa has made fostering innovation a central plank of its agenda. But Toronto is also benefitting from broader economic shifts. Innovation is moving from edge-of-town research parks to urban cores in response to the rise of sectors like digital health and financial technology that cut across traditional boundaries. 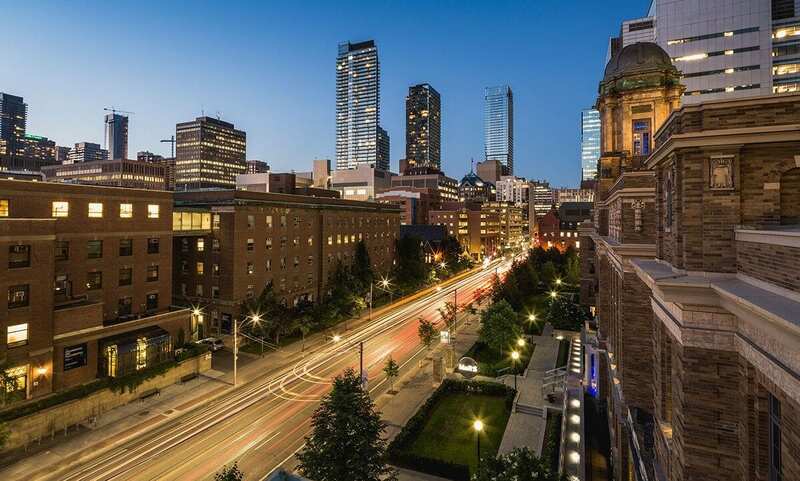 While many cities are trying to regenerate neighbourhoods as centres of urban innovation, Toronto already has an extensive Discovery District, with more than 30 research centres and hospitals adjacent to the University of Toronto campus. At its centre is MaRS, one of the largest innovation hubs in the world. MaRS provides a unique platform to commercialize breakthrough discoveries by bringing together researchers, investors, entrepreneurs and corporates under one roof. Last year, MaRS almost doubled in size to 1.5 million square feet with the opening of its West Tower, which contains advanced research facilities and space for startups such as LEAGUE (founded by Mike Serbinis, who also co-founded Kobo) alongside offices of global leaders including Facebook, PayPal and Johnson & Johnson’s JLABS. MaRS recently announced that it had secured a $290 million refinancing deal from Manulife, Sun Life and iA Financial Group. The deal allows it to make early repayment on the bulk of two loans it received from the Province of Ontario to complete its new tower after the U.S. developer behind the project put it on hold as a result of the recession. The provincial government received criticism for its decision. However, it asserted throughout that it was taking a calculated risk and had confidence in the MaRS model. That confidence is clearly now shared by the private sector. Pharmaceutical giant Bayer and Versant Ventures kicked off the recent spate of investment announcements in December with news that it will spend US$225 million to set up a new regenerative medicine company called BlueRock Therapeutics in MaRS. The investment was one of the largest early stage funding rounds for a biotech company ever and a vote of confidence in the model of innovation being pioneered at MaRS. The BlueRock announcement was followed by news from Highland Therapeutics that it had secured $200 million in funding for a promising new ADHD drug. Meanwhile, the third investment announcement, from energy-storage firm NRStor, showed that it’s not just the health sector where Toronto startups are making gains. There’s now a growing sense of confidence in Toronto’s innovation community, which has been gradually assembling the pieces to create a thriving ecosystem for startups for more than a decade. Toronto’s Discovery District has already given the world insulin, stem cells and the foundations for artificial intelligence. It could well also give it the next $1 billion startup. Want to stay current with Canadian innovation news and events? Sign up for our mailing list.